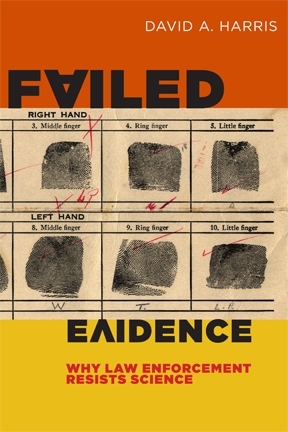 I’ve written frequently about forensic methods that cannot claim to have any scientific validity, yet end up admitted in court and convicting innocent people. Among these faulty forensics, bite mark analysis probably ranks highest. But who would have thought that today, we’d have occasion to think about the role played by a forensic method that is almost never been allowed in court as evidence? It was nearly a century ago that the forerunner of today’s polygraph began to be brought to courts around the U.S. as a fool-proof, scientific method for detecting lies. Of course, these devices did not do any such thing, and in 1923 the U.S. Court of Appeals for the D.C. Circuit decided the landmark Frye case, keeping the “systolic blood pressure deception test” out of court. Nevertheless, the polygraph is widely used — by law enforcement investigators at both the state and federal level, and by private parties too. The fact that criminal courts in the U.S. only rarely accept the results of these tests (New Mexico is the only state that sometimes allows them to be used in criminal cases) seems almost beside the point; the question “if you’re telling the truth, will you take a polygraph?” is frequently relied upon to separate the liars from the truth tellers in the course of investigations. This seems to be a questionable way of finding the facts, if courts do not accept the result. But there it is. But the Chicago Police Department seems to have taken this dubious practice to a new level. According to an article in the Chicago Tribune, the Chicago P.D. “used their polygraph unit as a tool to obtain false confessions” by not following national standards and even by lying about the results they obtained. At least five defendants — four of whom were charged with murder — have been cleared since 2002. In a sixth case, a federal appeals court threw out a murder conviction, leading to the release last month of a Chicago mother prosecuted in the death of her 4-year-old son. A Tribune investigation found that Chicago police have long ignored voluntary standards for conducting polygraph exams, even as those methods and the examiners themselves have factored into cases costing the city millions of dollars in damages. Read the article for yourself. I wouldn’t have thought that in 2013, polygraphs would feature among the causes of wrongful convictions. But apparently, at least in Chicago, I was wrong.